Hawadax Island, Alaska is 6,681 acres and located about 1,300 miles west of Anchorage in the Aleutian Archipelago. The spectacular biodiversity of this rugged volcanic island chain was recognized in 1976 when the United Nations Educational, Scientific, and Cultural Organization (UNESCO) named some of the islands a Biosphere Reserve. In 2007 and 2008, prior to the rat removal operation, Island Conservation and the Coastal Conservation Action Lab at the University of California, Santa Cruz conducted baseline surveys of select native species on Rat Island. Surveys were again conducted in 2009 and 2010 following removal. The surveys covered native bird abundance and the composition of intertidal and plant communities. 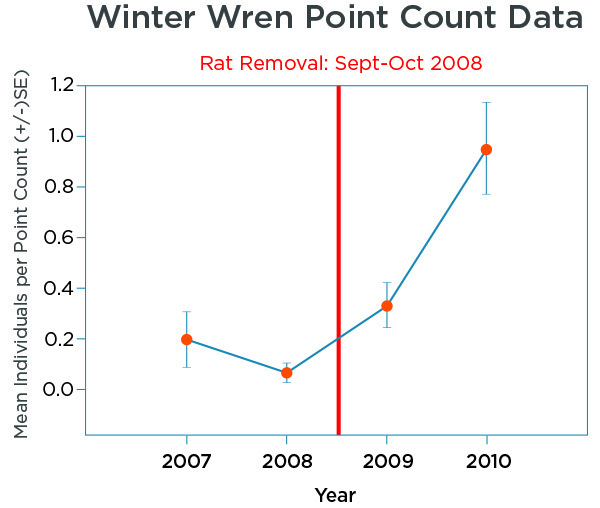 Following rat removal in 2008, all direct impacts (such as predation and competition for resources) from rats ceased. In May 2009 and June 2010, Island Conservation and the Coastal Conservation Action Lab returned to the island to confirm the absence of rats and monitor native species for recovery. The team found no sign of invasive rats that had decimated native bird populations for more than 200 years. Additionally, several bird species, including the Rock Sandpiper, Pigeon Guillemot, Common Eider, Red-faced Cormorant, and Gray-crowned Rosy Finch, are successfully nesting on the island, as are other birds that were once highly susceptible to rat predation. 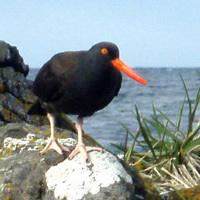 Black Oystercatchers and Glaucous-winged Gulls produced chicks, and both species were more abundant in 2010 than they had been in previous years. The Song Sparrow appeared for the first time in 2010, potentially indicating a return of this species to Rat Island. In 2013, Tufted Puffins were documented nesting on the island for the first time ever recorded. 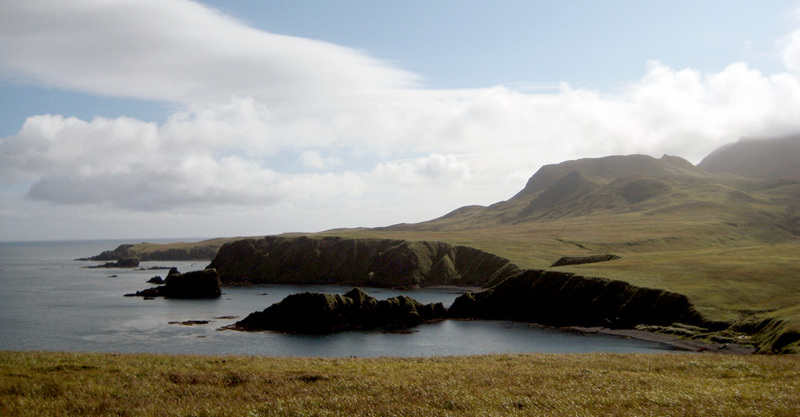 In May 2012, The US Board on Geographic Names approved a proposal to change the name of Rat Island to Hawadax Island in the Aleutians. 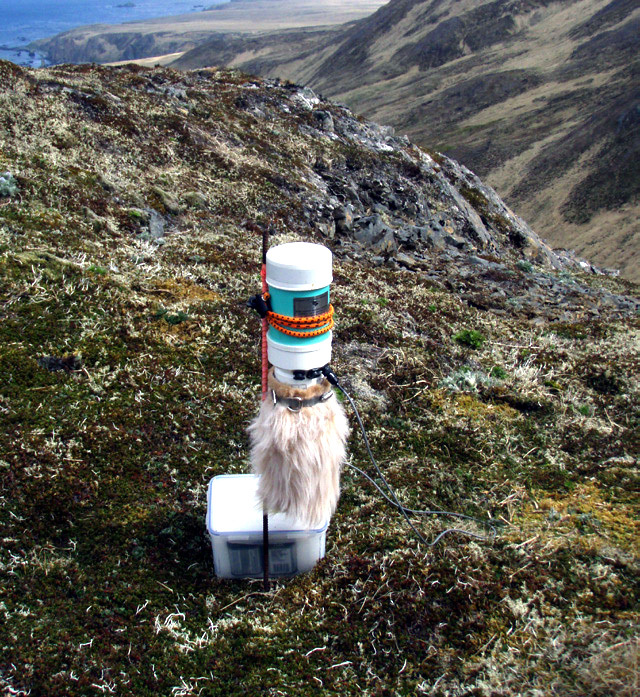 Hawadax (pronounced “how AH thaa”) is a return to the original Aleut name, in acknowledgement of the absence of rats—a return to the island’s ecological state prior to European/Japanese contact. 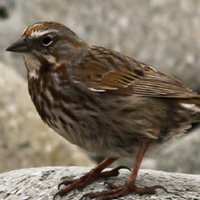 The Giant Song Sparrow appeared for the first time during 2010, potentially indicating a return of this species to Rat Island. It had not been documented in 2007 and 2008 surveys. During a 2013 monitoring trip, researchers found that hardly three minutes would pass without hearing a sparrow. Black Oystercatchers and Glaucous-winged Gulls successfully produced chicks, and both species were more abundant in 2010 than had been observed in previous years. A 2008 survey documented nine Glaucous-winged Gull nests. 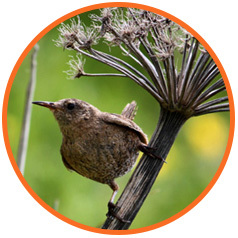 In 2013, an identical survey discovered twenty-eight nests, a threefold increase. 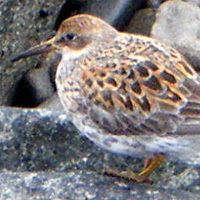 Rock Sandpipers, Pigeon Guillemots, Common Eiders, Red-faced Cormorants, and Gray-crowned Rosy Finches are successfully nesting, as are other birds that were once highly susceptible to rat predation. 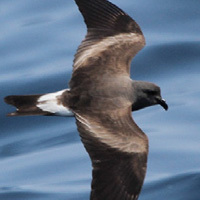 These advanced devices detected activity by Leach’s Storm-petrels and Fork-tailed Storm-petrels at suitable breeding sites. 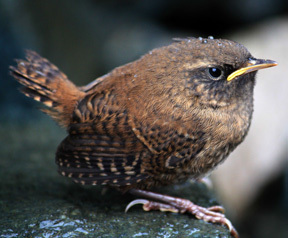 These species were thought to have been extirpated because of invasive rats. In 2013, researchers documented Tufted Puffins breeding on the island for the first time ever recorded. All signs point to Hawadax Island as being on a trajectory for recovery. To restore vital breeding habitat for many wide-ranging and globally significant seabird populations by removing invasive rats. 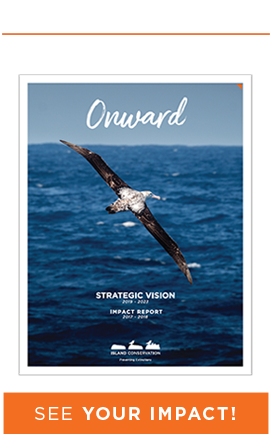 Thousands of seabirds are safely nesting, and native plants are thriving again. For decades on Hawadax, invasive Norway Rats destroyed the island’s native species by eating eggs, young chicks, and plants. Accidently brought to the island aboard ships, invasive rats prevented most seabirds from nesting, creating an eerily silent island in contrast to the seabird cacophony found on nearby islands not infested with rats. 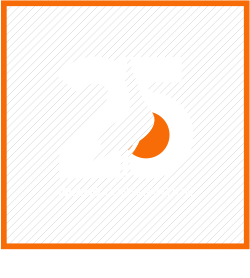 In September 2008, after several years of planning, Island Conservation (IC), The US Fish and Wildlife Service (USFWS), and The Nature Conservancy (TNC) successfully removed invasive rats from Rat Island. IC and our partners continue to work together to prevent the reintroduction of invasive rats to the island. 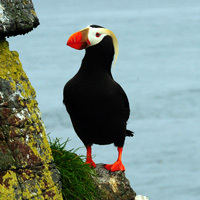 In the absence of invasive rats, several bird species, including Tufted Puffins, Aleutian Cackling Geese, Ptarmigan, Peregrine Falcons, and Black Oystercatchers, are nesting on the island. 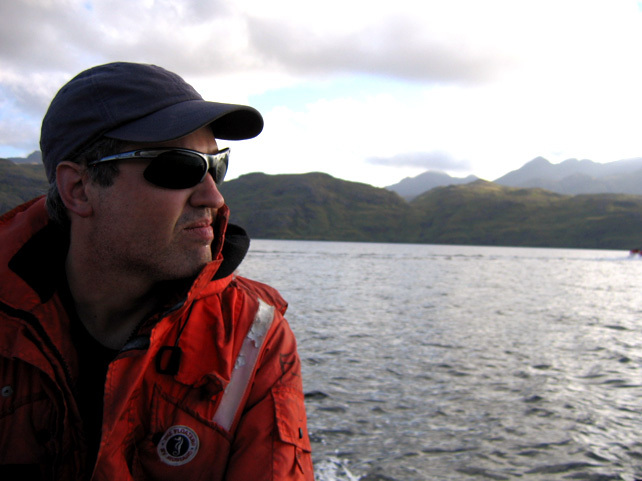 Gregg has been working in the island conservation field for more than nineteen years, and since 1999 has focused on the restoration of island ecosystems internationally. 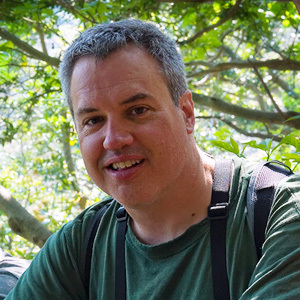 Gregg serves as Island Conservation’s Director of Global and External Affairs, and his experience and expertise are utilized for many of IC’s projects worldwide. Gregg has developed a diverse array of North American partnerships among federal government agencies, private industry, NGOs, research scientists, and local communities. 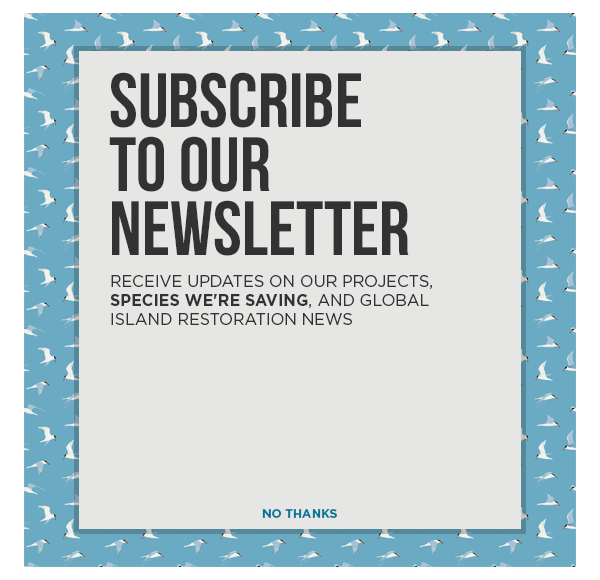 These partnerships have led to the direct implementation or consultation on more than forty island restoration projects and programs throughout North America—ranging from the Aleutian Islands, Alaska, to tropical Mexico and west to Hawaii, the Central Pacific, and Micronesia, as well as South America on the Galápagos Islands. 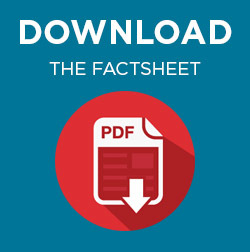 Gregg earned an MS in ecotoxicology from the University of British Columbia, Vancouver, and has assisted the US Environmental Protection Agency, Fish and Wildlife Service, and the Department of Agriculture, among others, with project planning and policy guidance. Together this work established a precedent for the successful registration and authorized use of conservation rodenticide products for rodent removals on islands in North and South America.